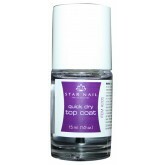 Prevents staining of acrylic nails and promotes a long lasting manicure. Prevents smudges while drying for a smooth, protective matte finish. Tinted Nail Envy in OPI-favorite shade Bubble Bath provides maximum strength formula with hydrolyzed protein and calcium helps nails grow harder, longer, and stronger, and resist peeling, cracking, and splitting. Recommendation: Takes the most severely damaged nails from mush to muscle. 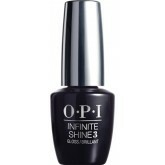 Tinted Nail Envy in OPI-favorite shade Hawaiian Orchid paximum strength formula with hydrolyzed protein and calcium helps nails grow harder, longer, and stronger, and resist peeling, cracking, and splitting. Recommendation: Takes the most severely damaged nails from mush to muscle. Provides maximum strengthening with hydrolyzed wheat protein and calcium for harder, longer, stronger, natural nails ideal for weak, damaged nails. Tinted Nail Envy in OPI-favorite shade Pink To Envy (sheer pink) paximum strength formula with hydrolyzed protein and calcium helps nails grow harder, longer, and stronger, and resist peeling, cracking, and splitting. Recommendation: Takes the most severely damaged nails from mush to muscle. 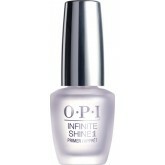 Tinted Nail Envy in OPI-favorite shade Samoan Sand provides maximum strength formula with hydrolyzed protein and calcium helps nails grow harder, longer, and stronger, and resist peeling, cracking, and splitting. Recommendation: Takes the most severely damaged nails from mush to muscle. Natural nail reinforcer builds in layers of protection to natural nails. Dries to tough, long lasting non-yellowing, high gloss shine in minutes. 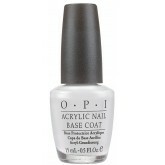 A base coat, top coat and natural nail strengthener in one high performance formula. High gloss protection prevents smudges while drying for a smooth, high gloss, protective shine.